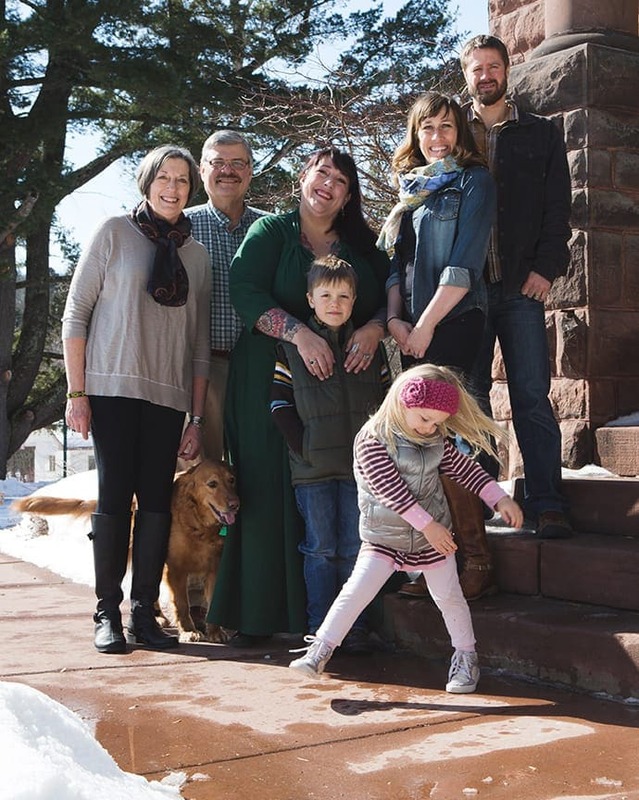 In reflecting on the question of how we came to be residents of Brickyard Creek, we need to go back a few years — family histories and love of Lake Superior & Bayfield paved the way in this bumpy, exciting and wonderful journey. Both of our families have a generational history in this area. 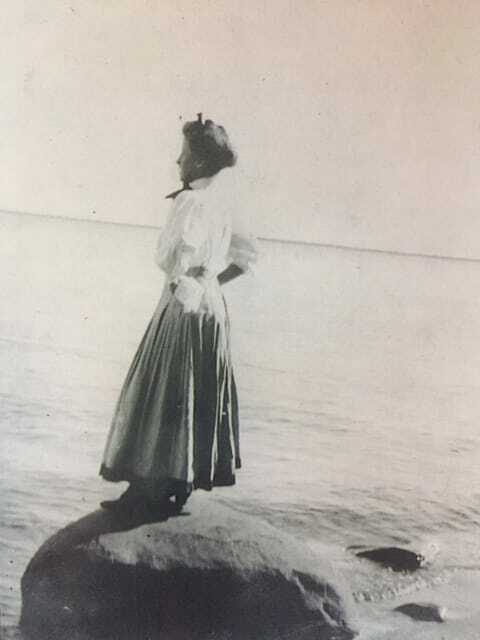 Nancy’s Grandmother, Catherine Rittenhouse, and her mother & sisters visited Bayfield & Madeline Island every summer – 5 generations visiting, enjoying, playing and relishing this special place. Steve’s great-grandfather came from Sweden to settle in Ashland in 1883, with multiple generations behind him settling in this area. In short, we were both “raised” to love the lake, the islands, and Bayfield. It was in our blood. Learn the history behind each of these photos below. 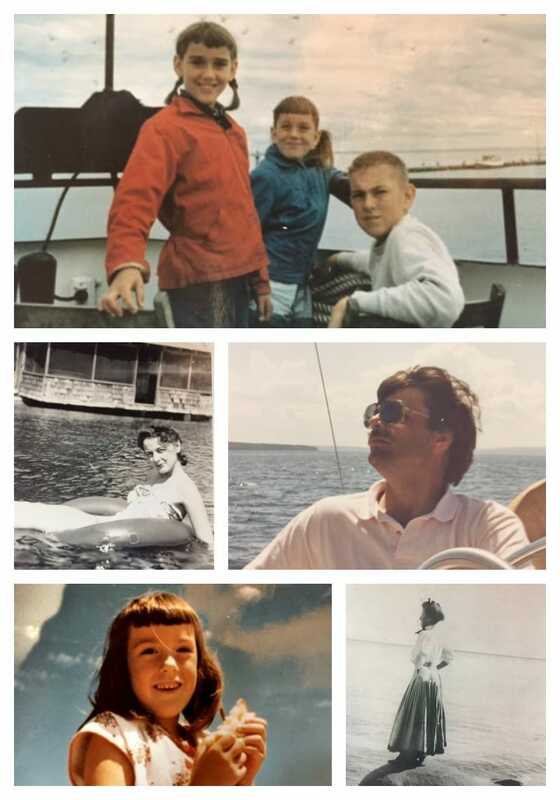 Our adult history continued this trend, as we made our way North, multiple times each summer, with our two daughters, visiting Nancy’s parents who had built a summer home on Madeline Island. 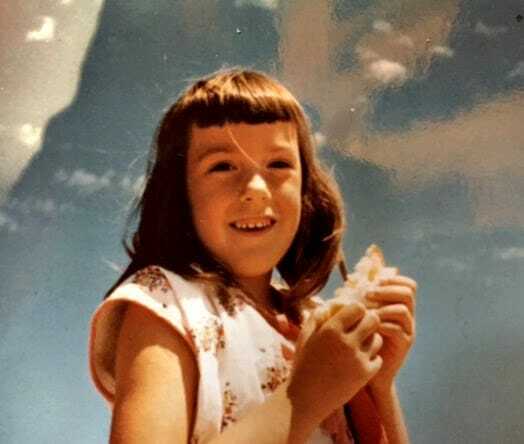 Our girls grew up (as Nancy and Steve did) thinking that all kids had such summer adventures – we often took it for granted. During these years, we both were immersed in jobs – Steve taught Biology and Environmental Science at various high schools around the state of Wisconsin. He then shifted to the Wisconsin Department of Public Instruction as a Science Education Consultant. After 14 years in science education, he decided to join his family in their commercial printing business where he worked for 13 years. Nancy worked as Executive Director of the Wisconsin Chapter of Leukemia Society and later on for the Ice Age Park & Trail Foundation. From 1983 – 1996 we lived and worked in the Milwaukee area. But we both felt like square pegs in round holes. As our girls were approaching college years, we began thinking about the next phase of our lives. 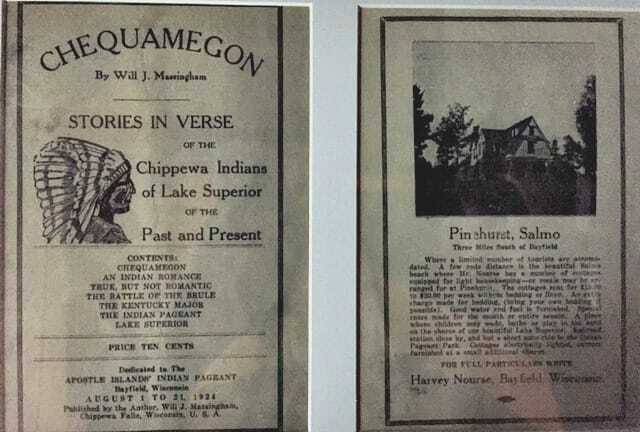 We were informally researching the idea of a bed & breakfast when we found out that Pinehurst Inn south of Bayfield was for sale (note: the Nourse family who owned Pinehurst from 1906-1984 were cousins to Nancy’s mother). Long story short……we purchased Pinehurst to operate as a bed & breakfast. It wasn’t quite that simple. Nancy moved up to Pinehurst in January 1996 and oversaw the initial renovation of what would be many phases of renovations. This then 115-year-old house needed work! Steve continued to work with the family business for another 2-1/2 years, driving up to Bayfield on weekends when able. The Inn opened to the public in May 1996, and this was the start of a 20-year journey as innkeepers. Steve moved up permanently in 1998 when he was offered a position at Northland College. Our years at Pinehurst Inn were a blessing. We loved developing the business, expanding the property and the guest experience. Our focus was developing a sustainable business and became known for our environmental efforts. It worked. We were both very involved in the tourism industry at both a local and state level. Nancy was actively involved in the development of the Travel Green Program offered through the Wisconsin Department of Tourism. She also served on the Bayfield Chamber & Visitor Bureau Board of Director for about 10 of our 20 years in business. As the business grew, Steve left his full-time position at Northland College to join Nancy in the management of the Inn. He continues to teach part-time at Wisconsin Indianhead Technical College. In 2015, we were recognized for our efforts when we received the Governor’s Environmental Stewardship Award. We found the best way to live and grow our business was to be immersed in the community. It worked. While Pinehurst Inn was a blessing, it was also a blessing when our buyers came forward. We successfully sold the business and the property in March 2016. As we planned our next home the word that kept ringing in our ears was “simplicity.” We knew we wanted to stay in Bayfield. We knew we wanted to simplify our lives and our physical surroundings. 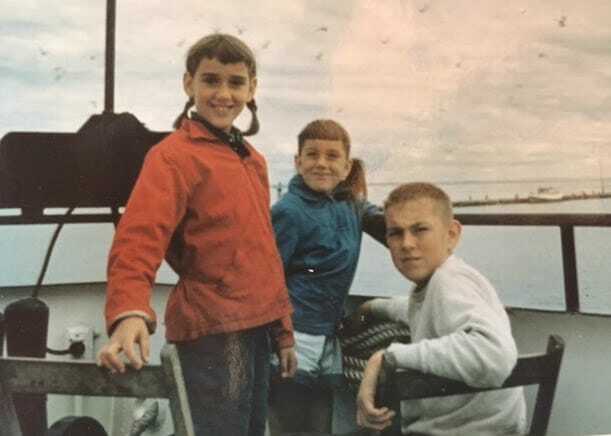 We were familiar with BYC through our longtime family friend, Joyce Henry (Joyce has since passed away, and her special cabin is now owned and loved by Becky and Peter Jaroff). We were and are enchanted at the concept of a residential development that puts the environment first. We continue to be engaged with the Bayfield community. Living here year round has always been a joy. This unique community offers an amazing array of activities and opportunity for play, enrichment and simple fun within a beautiful and inspirational setting. Over the years, we each have served on a number of area non-profit boards including the Apostle Island Community Fund, Bayfield Regional Conservancy, Friends of the Apostle Islands National Lakeshore, and Big Top Chautauqua. Our eventual purchase of our home on Casey Lane has been wonderful. We are working to make this limited space work for us (lots and lots of purging!). Simplicity is the key word for us these days. There are many evenings where we look at each other as we sit in front of the fire and smile at our good fortune! But the bonus with this decision has been the community. We so enjoy getting to know our neighbors – and look forward to becoming more engaged however we are able. Catherine Rittenhouse was my grandmother. 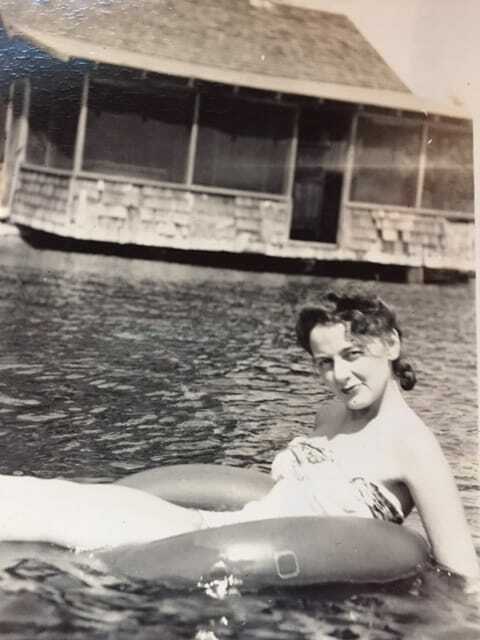 She began coming to Bayfield as a child and continued through much of her adulthood. This photo was taken (we think) at Stockton Island. She raised her daughters (my mother and sisters) to know, love and cherish this area. I include this to provide some perspective on our connection to Pinehurst and the area. We are distant cousins to the Nourse family who owned Pinehurst from 1905-1988. We loved staying there as young children (see below) and stayed connected with them up through our purchase of the property. This is my mother floating off the beach located across from Pinehurst. The Nourse family owned the land where the historic house is located and the shoreline. There were about eight cabins along the shoreline they rented out. I spent the first five years of my life in these cabins in the summers of the 1950s. This is a photo of me at the Town Park on Madeline Island. That shoreline and lakeshore hold many memories of family outings. 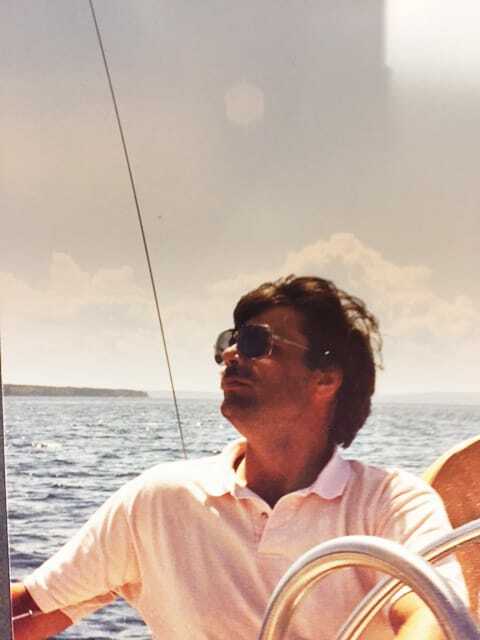 We dug through many photos and really couldn’t find any photos of Steve’s family history up here, but his love of the lake is evident through our sailing and boating in the area. We continue to enjoy Bayfield with family, bringing together another generation of visiting, playing and relishing this special place. How did end up at Brickyard Creek? We strongly encourage you to share YOUR story. Each member of the community has a unique and inspiring answer to this question. Reach out to community manager Jeffery Garrett today to get started.